While images form the backbone of our data products, it is the information derived from those images that really matters. Integrating imagery into a GIS and overlaying other information, or pulling information out of the imagery can be very powerful. We are skilled at providing a range of GIS services to help make our imagery work harder for you. 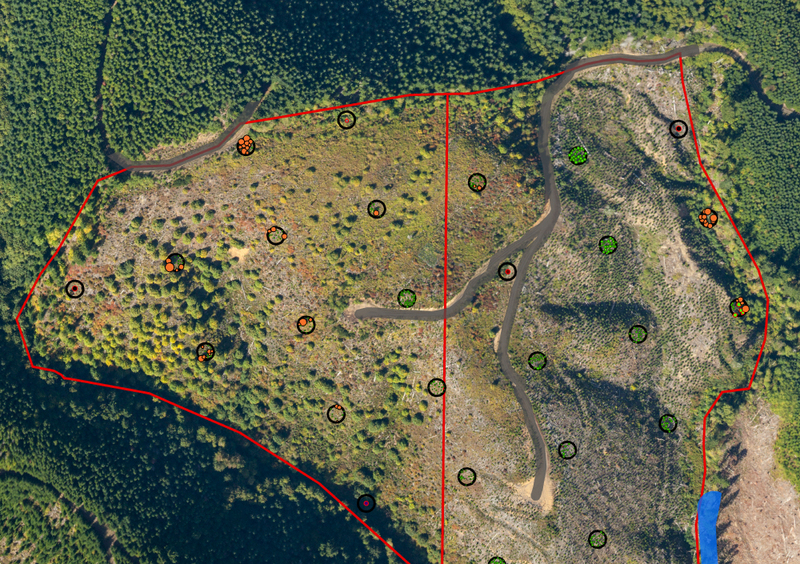 These services have included custom projection work, forest inventory and tree counting, cleanup of shapefiles for agricultural field boundaries, and surface mine volumetrics and site planning assistance. If you have GIS needs other than those listed, no problem! We would love to talk with you to develop a new solution that will meet your needs.